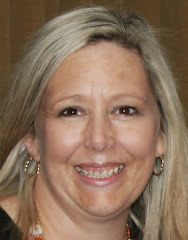 It has been much longer than I had intended since I last blogged but I will make amends over the next few weeks. My busy time at work has subsided a little and I am just now finding my feet again. I am also getting my mojo back which became a little lost over that time. 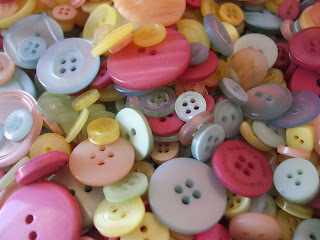 I have been looking at things around my studio which inspire me like these gorgeous pastel buttons. I like to tip them out and sort through them, each time I see a prettier button than the time before and think about the things that I could do with them. One of the things that I have managed to do over the past few weeks is to make a mountain of Yo Yo's. Some have been for my Yo Yo Ville Quilt but I have also made lots and lots of "Eva" ones which I have put aside for a future project. 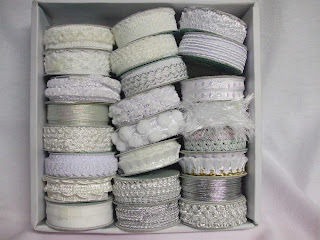 I seem to have lots and lots of different trims - I just love them. So what inspires you? Do you see a piece of fabric and know instantly what it should become or do you have the pattern first and then look for the perect fabric? This week I have been designing something a little different. I was asked to make a particular gift for my BF's granddaughter's 3rd birthday - So I decided to cut out 2 so hopefully by the end of the weekend I will have them made up and ready to show you. Our week of the $21 Challenge turned into 2 weeks as I just have not had the time to get to the supermarket. I called a holt to it last night when I decided that I really must go and buy some food and to quote the girls who have complained about the lack of treats, some "real" food. 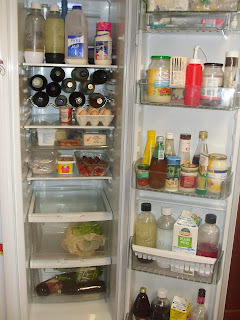 This is how my fridge looked before the shopping expedition - Not too much left at all. It really is worth doing as you need to use your imagination a little more. One evening we even had a packet pasta side dish and an instant potato dish - Both of which were not too bad but were sitting in the pantry and needed to be used. Peel and slice as many potatoes as you need and parboil them. Place the parboiled potatoes on top and sprinkle with Onion & Garlic Flakes with a little cracked pepper. Dice a little ham or bacon and sprinkle over. Pour over around 1/3 cup of thickened cream and sprinkle with shredded cheese. 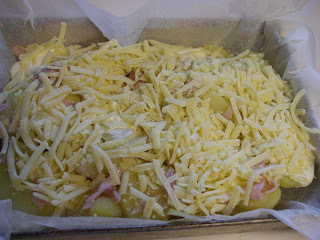 bake in the oven for around 1/2 hour. You can used fresh onion in any of my recipes that I give you but there is one little cherub in my house who says she does not like onion. (That is of course if she can see it) I use onion flakes so that I still get the flavour. It must do the trick because she eats them all without any complaints - LOL. Have a great weekend - I will be back very soon - I promise :) Don't forget about the Ugly Swap which closes on Sunday night. i was hungry before I read your post, now I'm starving. Mmmmmmmmmmm the potatoe bake looks real good. 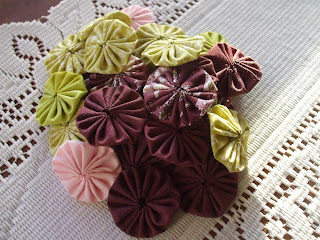 Love your collection of trims, I too often fosick through my buttons and mentally create and use them all up. 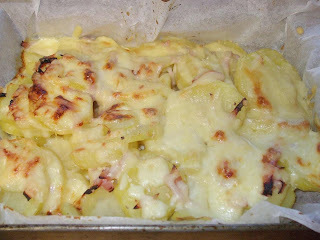 Love the pastel trim...Potato Bake looks delish & my children seem to have the same affliction to onion!! What a wonderful post, so full of all manner of interesting stuff! I love your yo-yos, they look much better than the ones I make - what's your secret? The recipe looks fab, must try that. Yummo Fiona....I can never seem to get Potato bake right...don't know why, but this one looks like I just need to give it a try!!! 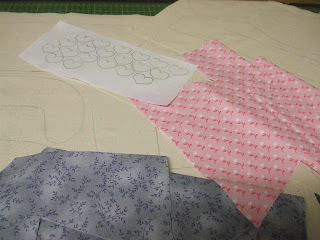 Im inspired by many things and it depends on what I see first...the pattern or the fabric...usually it means another trip the the quilt shop (even if the fabric is the inspiration)...some like shoes....mine is fabric!!!! sugary hugs and welcome back!! Love your buttons and trims - so pretty! love your buttons and trims, wish they were in my sewing room. That scrumpsious potato bake is on the menu for sundays dinner. Your potato bake looks delish! I will have to try it tomorrow! 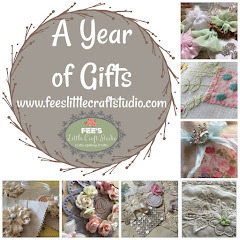 Lovely inspirational pictures Fiona - i used to have a phobia for buttons (how bizarre) but since I started quilting I love them (how bizarre)!!! 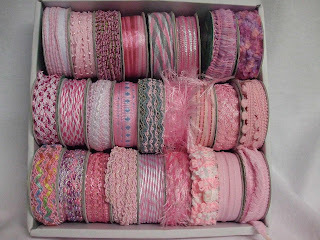 I love trims too but only wish I had as many as you. Can't wait to see the projects your making. 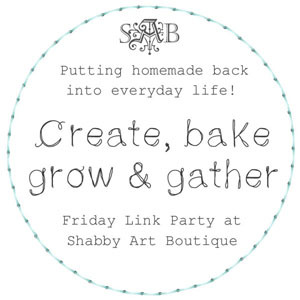 Inspired me to do some thrifty cooking too!!! Love all the pics Fiona. I really enjoy buttons, trims and ribbons...all of it. They add so much!